Emirates Reveals Diamond-Encrusted Plane - Is This Real? Home Sections Money & Business Emirates Reveals Diamond-Encrusted Plane – Is This Real? Emirates Reveals Diamond-Encrusted Plane – Is This Real? Emirates shared on its Twitter and Facebook feeds, a glittering Emirates plane covered in bling parked on the runway under a beautiful starry sky, which we reckon is way more than first class. The photo is the artwork of Sara Shakeel, a dentist-turned-artist from Pakistan. The photo has received over 380,000 likes on the Emirates Instagram handle. 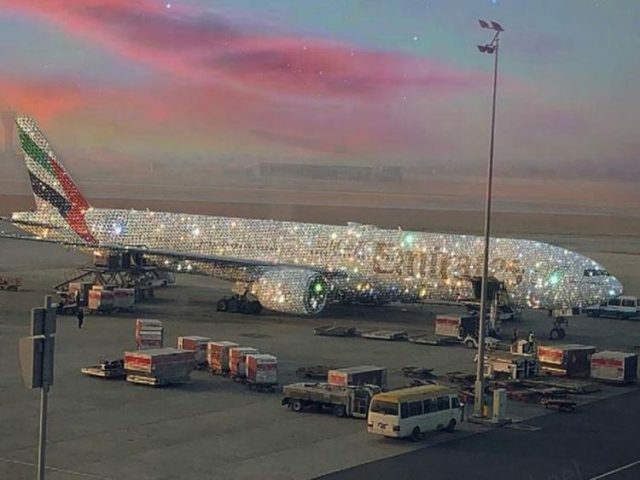 Shakeel had posted her bedazzling creation on Tuesday and it turned out that Emirates liked the image so much that the airline asked for permission to repost it and upgraded her flight from Pakistan to Milan. The image created quite an excitement online with one social media writing: ‘Booked an Emirates flight this morning. Full of expectations now’, to which Emirates replied with a smiling emoji: ‘Hi [passenger], we look forward to welcoming you on board soon’. 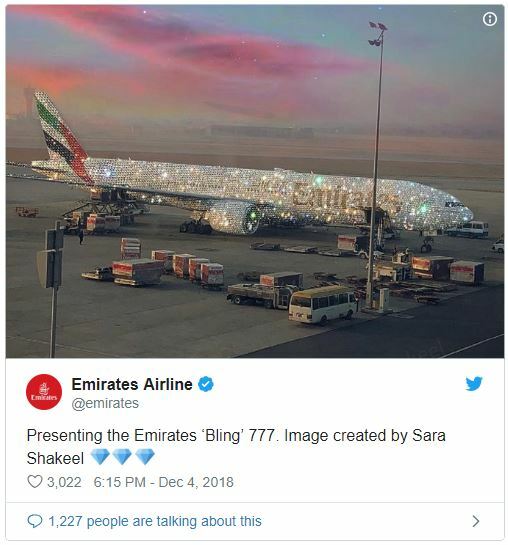 Emirates later calmed excited air passengers confirming that the picture posted on Twitter, which showed shows a Boeing 777 plane encrusted with diamonds, is not real and was created by Sara Shakeel, a crystal artist.